For decades, healthcare professionals unanimously agreed that tonsils and adenoids grew until around age 12 and then began to shrink until about 20. Now, researchers from Tokyo Medical and Dental University are challenging this long-standing belief. They conducted a longitudinal study that found while the throat grows rapidly during the teenage years, the tonsils don’t get much bigger -- or smaller -- from childhood through adulthood. 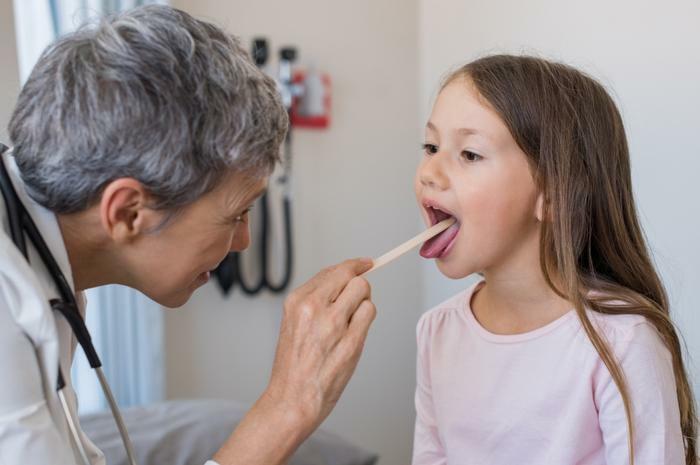 The researchers believe the findings from this study will be beneficial to doctors when trying to determine if and when tonsils or adenoids need to be removed. To analyze the growth of adenoids and tonsils, the researchers conducted a longitudinal study that followed the same 90 people from the time they were eight until they were 19. The participants had their tonsils and adenoids measured at five different points of life: ages eight, 10, 13, 16, and 19. While eight-year-old tonsils and 19-year-old tonsils varied greatly in size, when the participants were in the middle age groups, their tonsils and adenoids didn’t grow or shrink in any significant manner. However, the researchers did note that the area of the throat near the adenoids and tonsils got bigger over time, which is why many physicians may have thought there was a growing and shrinking phenomenon occurring. “We found that, in actuality, the airway itself grows bigger, making the fraction taken up by the adenoids and tonsils smaller,” Ishida said. The researchers note in their study that a number of patients get their tonsils and adenoids removed as a means of treating obstructive sleep apnea (OSA). A recent study found that snoring is often associated with OSA. The condition can go undetected in many people, and it also poses a risk for cardiovascular issues. Surgery and medication are sometimes required to help treat OSA, while continuous positive airway pressure (CPAP) machines and weight loss can help combat the condition. The researchers, led by Dr. Adrian Curta, urge all snorers to get tested for OSA as a means of avoiding any health complications and starting a treatment plan as early as possible.